Allison Manning practices primarily in the area of civil litigation and domestic relations law. She received her B.S. in political science from Tennessee State University in 2009. She earned her law degree from the University of Tennessee College of Law in 2013 where she concentrated in advocacy and dispute resolution. Ms. Manning became affiliated with the firm during law school while working as a summer associate in 2011 and 2012. 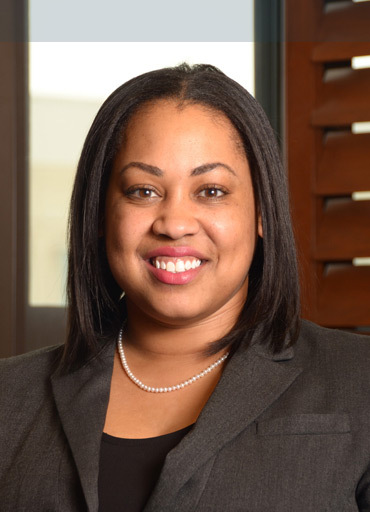 Prior to joining the firm as an associate, Ms. Manning was in private practice primarily handling domestic relations cases dealing with divorce, child custody and support, and termination of parental rights and adoption. As a family law advocate, Ms. Manning concentrates on solving family law matters while preserving her clients’ relationships with their children and protecting their financial interests. Ms. Manning is licensed to practice in all Tennessee state courts and has handled cases in circuit, chancery, juvenile and general sessions courts. She is a member of the Tennessee Bar Association, the Nashville Bar Association, and the Napier-Looby Bar Association.